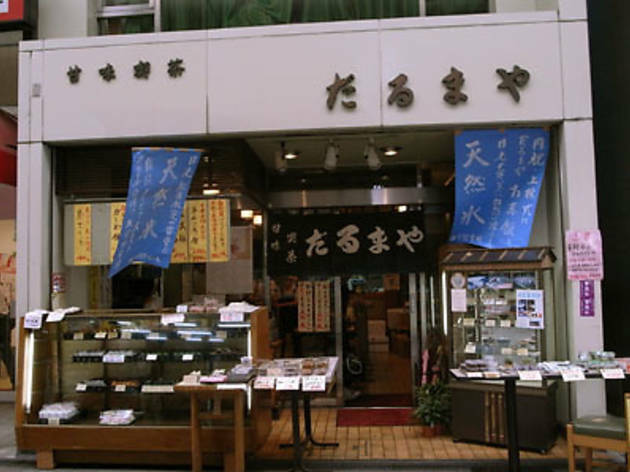 Darumaya is located about five minutes' walk from Jujo Station on the Saikyo line. It’s nestled on the right side of an old-style shopping arcade, which stretches to the north of the station. 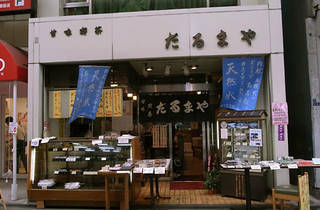 Outside you can buy dango and seasonal wagashi for takeaway, or take a seat at one of the tables lined up inside. 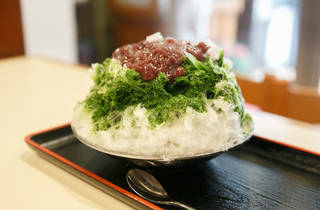 As well as classic sweets like inaka-jiruko and cream zenzai, there are also light snacks such as isobe-maki rolls and sanshoku (three-colour) onigiri. 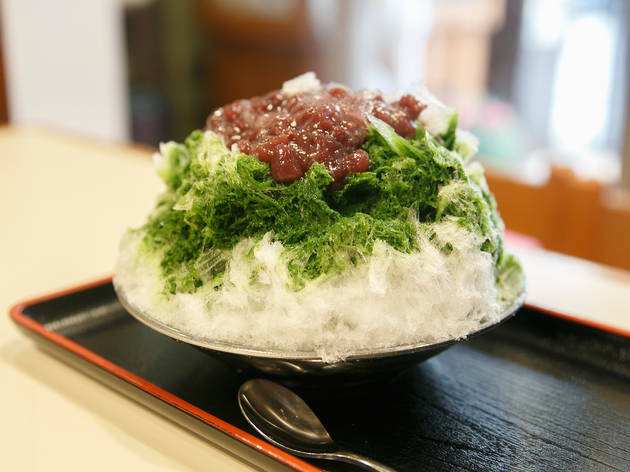 The kakigori, made with natural ice from Shogetsu Himuro in Nikko, can be ordered year-round.